Häfele America Co. is a company with a global presence, focused on local results. We serve the U.S. furniture and architectural hardware market and maintain our corporate office, primary distribution center and a state-of-the-art showroom in Archdale, North Carolina. Our people and our business are driven by an entrepreneurial spirit allowing us to operate closely with our customers and to know what they need, to understand their requirements, and to quickly identify opportunities for improvement. We are a company who believes in always looking ahead and in sharing our dynamism, creativity and long-term vision with our customers in order to assure our mutual success. From Häfele’s founding in 1923 and Häfele America Co.’s beginnings in 1973, we have drawn upon the collective experience of our people to bring you the finest products and our unparalleled expertise in the industries we serve. 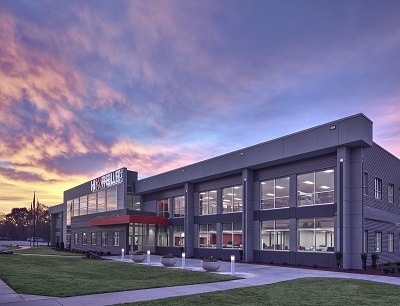 With a strong commitment to product availability and fast delivery, we maintain large distribution centers across the U.S. Our dynamic service network connects major U.S. cities, and our showrooms welcome industry guests in New York, California and our headquarters in North Carolina. Häfele America Co. provides components and customized services that add value and functionality in a broad range of commercial and residential markets. Click here to learn more about Häfele’s showroom locations.